Add to your beach holiday by choosing one of our Marsa Alam Day Tours and Excursions . Spend a day snorkeling with Dolphins or explore Bedouin life in the Marsa Alam desert. Fly to Cairo from Marsa Alam Red Sea to be amazed by the Pyramids or drive to see the ancient wonders at Luxor or Aswan. Also an option to experience a relaxing Nile Cruise from Marsa Alam. Memphis Tours offers adventures to suit anyone. 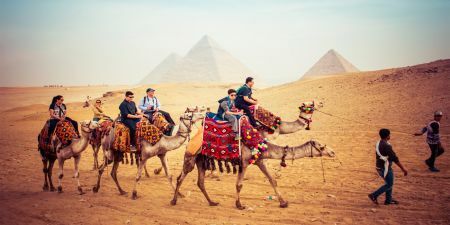 An exciting day from Marsa Alam to Cairo and the Giza Pyramids by flight packed with the real history of Cairo dating through different periods including the Pharaonic era, Coptic and Islamic times. Giza Pyramids and Sphinx, Egyptian Museum, Coptic Christian and Islamic old Cairo are amongst the many sites for you to explore. 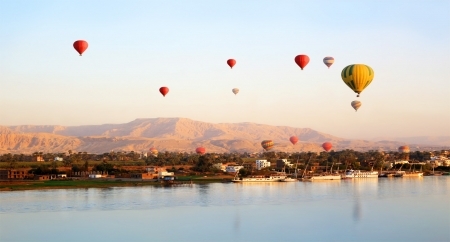 Join an exciting Nile Cruise adventure, exploring the Ancient History of Upper Egypt in Luxor and Aswan starting with the famous sites in Luxor including Karnak Temple and Luxor Temple and the West Bank Valley of the Kings and Valley of the Queens and Colossi Of memnon. Then a relaxing informative cruise along the Nile stopping at Edfu Temple and Kom Ombo Temple until reaching colourful Aswan and it’s delightful Nubian Culture and sites. Visits to Aswan High Dam, Philae Temple and the Unfinished Obelisk are all included. 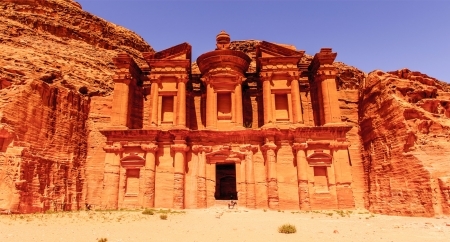 A total contrast to your Red Sea holiday and a nice break to explore! A delightful opportunity to leave Marsa Alam and travel from your Red Sea resort to experience the delights of a gentile Nile cruise whilst exploring the ancient sites in colourful Aswan and it’s delightful Nubian Culture and sites including Philae Temple, then a relaxing informative cruise along the Nile stopping at Kom Ombo Edfu Temples until reaching Luxor to visit Karnak Temple, Valley of the Kings and more! 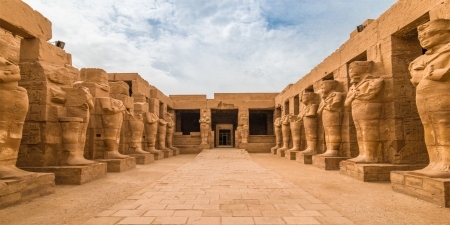 A unique opportunity in this day trip from Marsa Alam to Luxor by road to visit the most famous ancient sites of Luxor ( The old capital of Thebes), Visiting the largest Temple at Karnak on the East Bank and on to the West Bank for the most visited sites of tombs, temples and monuments in Upper Egypt. A more leisurely 2 day tour by road from Marsa Alam to Luxor to explore the real Upper Egypt sites in Luxor ( Old Ancient Capital of Thebes). 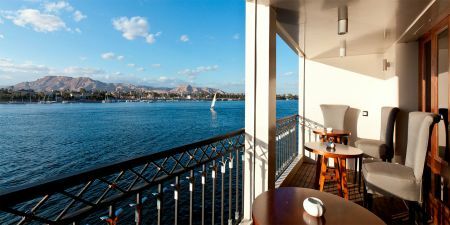 You will have the opportunity to explore all of the world renowned sites on both East and West banks of the River Nile, along with free leisure time to enjoy in the city of Luxor. There is no better way to see the delights of the River Nile in Upper Egypt than this day tour of Edfu and Kom Ombo from Marsa Alam to Edfu and Kom Ombo with the temples close to the river Bank. Starting with the huge and impressive Edfu Temple of the God Horus, followed by Kom Ombo, the Crocodile God. An early morning, yet unforgettable experience from Marsa Alam into the Eastern desert on a Quad Bike for spectacular views at sunrise along with a real Bedouin Experience and local culture. Known for it’s colourful array of sea life, corals and sea Turtles, this snorkeling trip from Marsa Alam from Port Ghalib Marina to Marsa El Shone and Marsa Mubarak is definitely not one to miss for the avid snorkeler and diver. An amazing journey into the Eastern Desert from Marsa Alam in a 4X4 Jeep tour to discover the beautiful landscape of desert and mountains whilst watching the sunset over the horizon. Included is a camel ride, quad bike and an insight into traditional Bedouin life with a dinner and entertainment in a bedouin environment. Enjoy this fun adventure from Marsa Alam tour by Quad Bike,the best way to see and feel the beauty and nature of the desert is by evening tours with a cooler atmosphere and sunset views. This adventure will include several exciting activities besides your Quad Bike such as leisurely Camel ride, sand surfing, delight in a Bedouin evening of food, song and dance. An unmissable experience. Known as Hamata National Park, these collection of Islands represent a wonderful, colourful array of sea life, corals and nature at its best. Your snorkeling adventure from Marsa Alam to Hamata Islands will focus on these three virgin islands of Hamata where you can snorkel, swim and relax whilst enjoying the abundant underwater life. Home of around 60- 80 Dolphins, this snorkeling tour of Satayh Dolphin Reef from Marsa Alam will satisfy all lovers of these delightful friendly mammals. With crystal clear waters around the lagoon, it is perfect for snorkeling and not missing any of the abundant corals and sea life. Marsa Alam to Luxor in a personalised modern air conditioned vehicle with ample space for you and your luggage. Optional tours are bookable through us for a range of activities and excursions on your arrival in Luxor with many excursions and tours available. 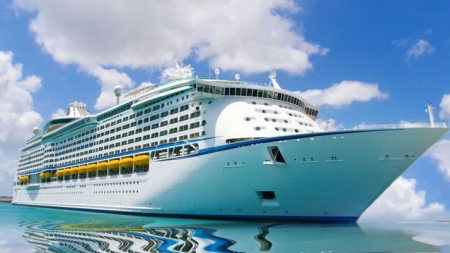 Providing you with fast and organised transportation to suit your itinerary and needs. Assisted upon departure and arrival from your Hotel, Nile Cruise or Airport.